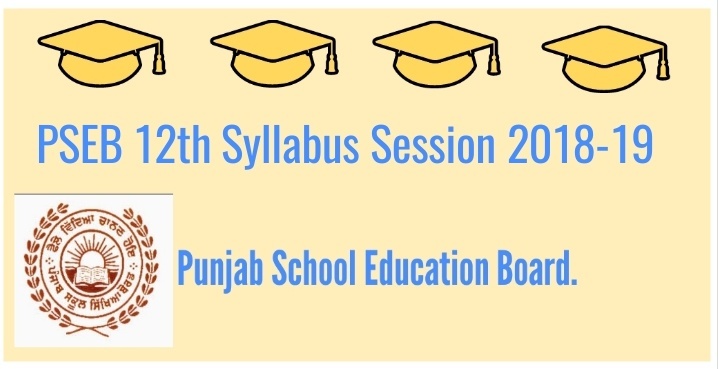 Latest Syllabus of History for General - Hello friends you will be happy to know that Punjab School Education Board has announced the latest syllabus of MR/HI/VI Students of Class 12th. All the candidates who are eagerly waiting for this from long time can now check below given link directly. Punjab School Education Board or P.S.E.B is going to conduct the board examinations for the academic year 2018 -2019. All the students who are fall under the PSEB and going to appear for the 10th & 12th class examinations must aware of the syllabus to appear for the examination. Candidates must have prepared well for the examination to score good marks in the exam. You can also visit or subscribe in your Gmail for latest Govt jobs in any field. You can also like our Facebook page for upcoming Govt jobs.